Did you ever have one of those "GARGHH!" moments when someone shows you how to do something sorta obvious but not really? 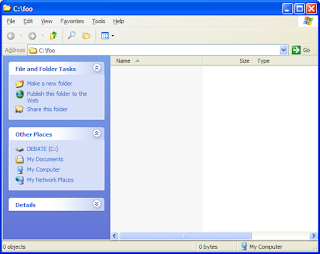 Like opening Windows Explorer from the command line the way you want it to look? 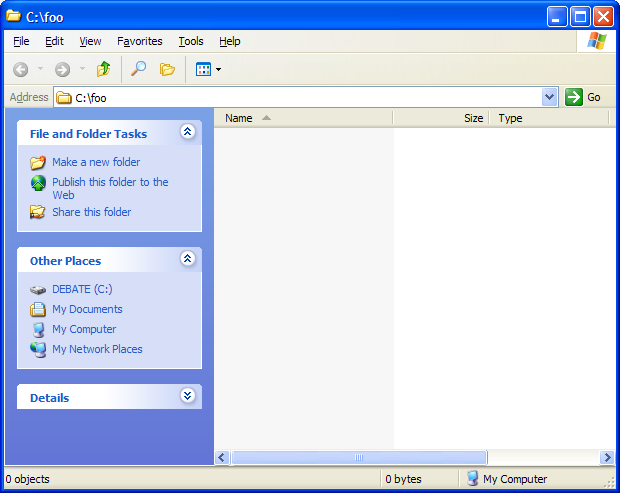 For example, I changed the default action for files of type "Folder" from "open" to "explore". That way, when I double-click a folder shortcut or "My Computer", the sidebar in the Explorer view shows the list of folders instead of the list of tasks, other places, etc. This respect for the user's preferences seems to extend to things like the tool bars and status bar and type of view, e.g. tiles or details. C:\>explorer foo seems to ignore all of your preferences. Thanks to the mighty folks at How-To Geek for the awesome insights.